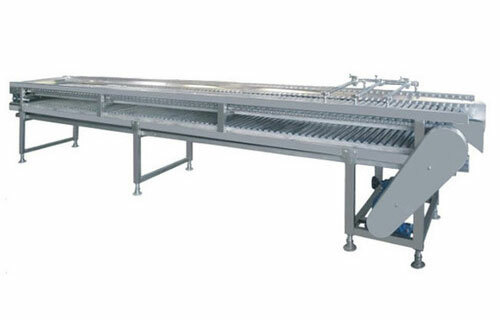 Fruit sorting machine is an indispensible equipment in fruit juice production line. 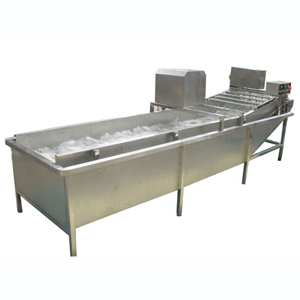 Separating qualified fruits from defective ones are premise for making clean and tasty fruit juice. Fruit sorting and cleaning both belong to pre-treatment of fruits. It applies to all kinds of fruits and vegetables of oval shape such as apple, pear, peach, lemons, carrot, pineapple, mango, strawberry, blackberry, etc. 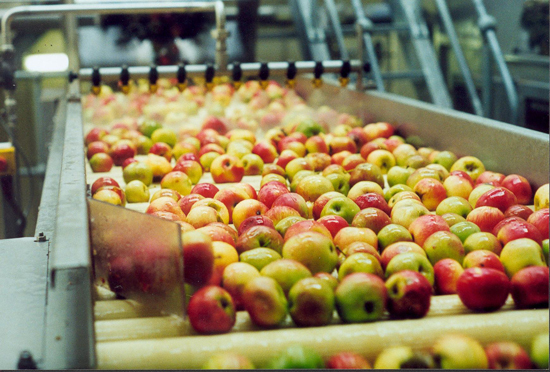 Fruit sorting machine is efficient in transmitting, selecting and grading fruits, which can greatly relieve the labor intensity. Fruit sorting machine consists of the following components: rack, gear reducer and housing, conveying chain, rolling bar, outlet hopper, draw-in bolts and baffles, driving and driven shaft, driving and driven sprocket, reducer sprocket, etc. 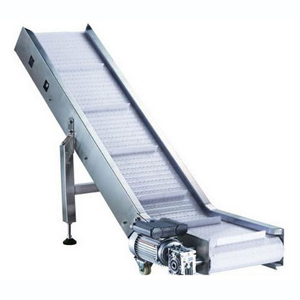 This fruit sorter adopts rolling rail structure. 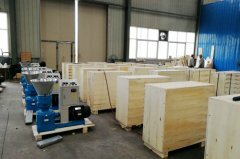 When the machine start work, the stainless steel shaft driven by the motor start rotating and transport the raw materials on them forward. During the transmission, the vegetables and fruits also rotate and turn over and expose themselves to the working staffs aside, who can pick out the defective or unripe fruits. The waste materials will be collected in the receiving tank. The rolling shaft is made of superior stainless steel. 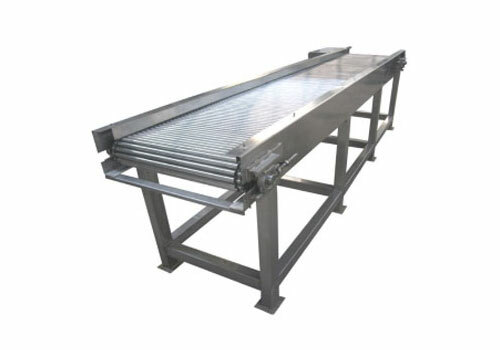 The sorting sorters are made of 1.5mm stainless steel plate. The support and beam adopted welded stainless steel tube. The transmission shaft and chain wheel are made of 1Cr13 stainless steel. The fruits can tumble and rotate freely along with the rolling shaft. The machine is equipped with infinitely variable speeds device. 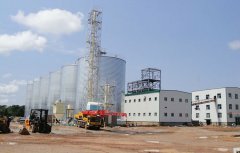 There is a special conveyor belt to transmit the waste materials to the receiving tank. To ensure the complete sanitary of fruit processing, and keep the machine from corrosion, we adopts special motor shield, oil collector and floor type oil guide pipe. 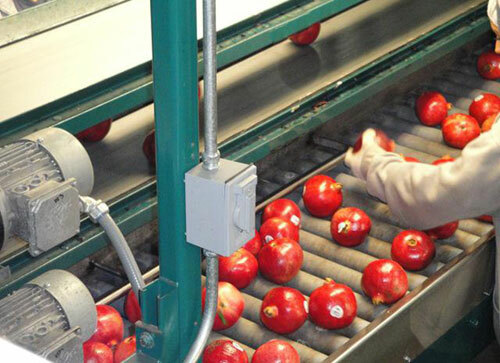 Our fruit sorting machine features stable performance, durable quality and convenient operation.